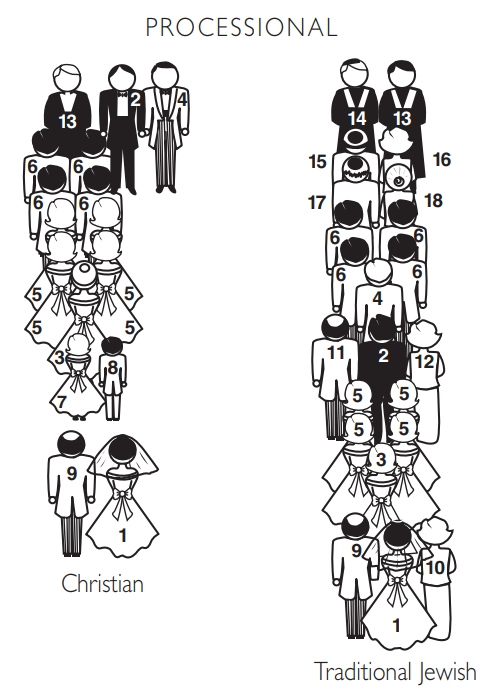 The processional and altar line-ups for formal Christian and Jewish weddings are illustrated right and below. 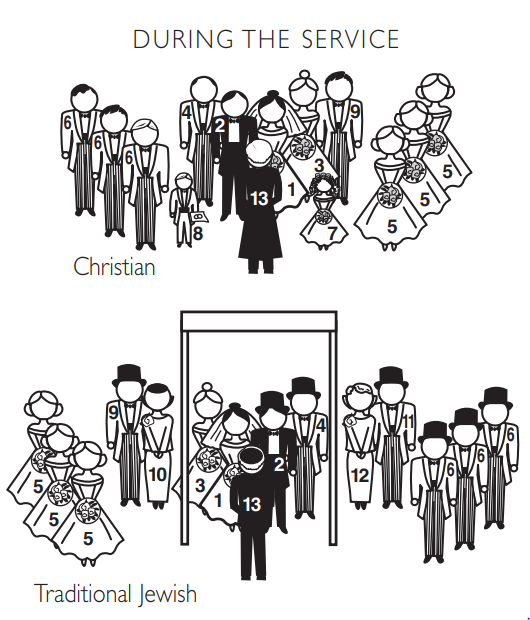 During the Christian ceremony, the bride meets the groom at the altar, and her parents remain seated throughout the wedding service. In the Jewish wedding, the bridal couple is escorted down the aisle by both sets of parents who remain standing during the ceremony. The bride's father, groom's father and groomsmen are mingling with guests. Groomsmen are mingling with guests.